While golf courses may be known for their abundance of greens, there are also areas of asphalt that need maintenance on a regular basis. 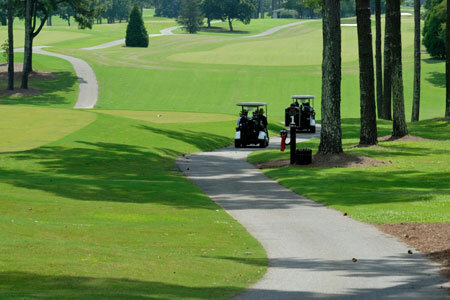 From parking lots to golf cart paths, we know the importance of keeping asphalt in good shape. That’s why we offer professional golf course sealcoating services to restore your asphalt and extend its lifespan. Whether it’s the wear and tear of vehicles on your parking lot or the constant traffic on your golf cart paths, you need something to preserve the integrity of your asphalt. With our sealcoating service, you’ll be able to add a layer of protection to any area and make sure that it’s in good shape for the weathering it will undergo in the future. One of the biggest attractions of a golf course is how well-manicured and appealing the grounds are. While most of this depends on the greens, there are areas of asphalt that are noticed as well – especially the golf cart paths. A rich, beautiful golf cart path can add to the curb appeal of the golf course and with a professional golf course sealcoating, we can give them the luster they need to complement beautiful-manicured grounds. 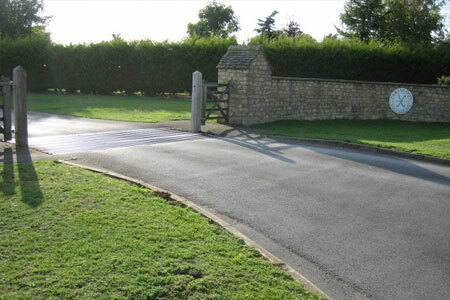 Improve your asphalt with a golf course sealcoating from the experts at Mr. Pavement. Give us a call today – we’ll discuss the areas that need attention and get you started right away.